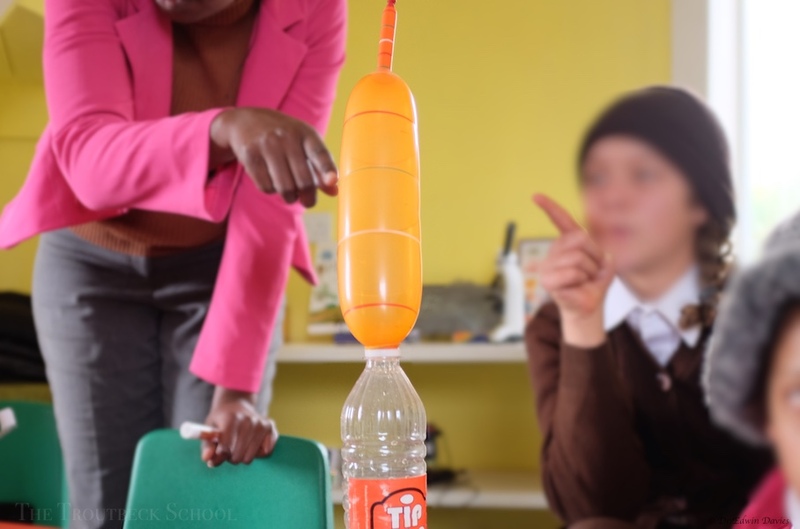 Learning about chemical reactions in classroom chemistry: Here the team is blowing up a balloon with carbon dioxide (CO2) made by mixing vinegar and bicarbonate of soda! 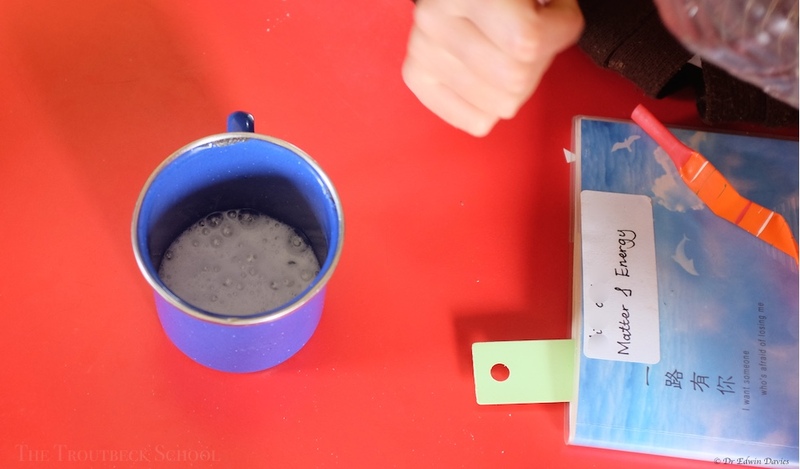 First a test reaction in a cup – Yes, it definitely reacts and produces a gas! 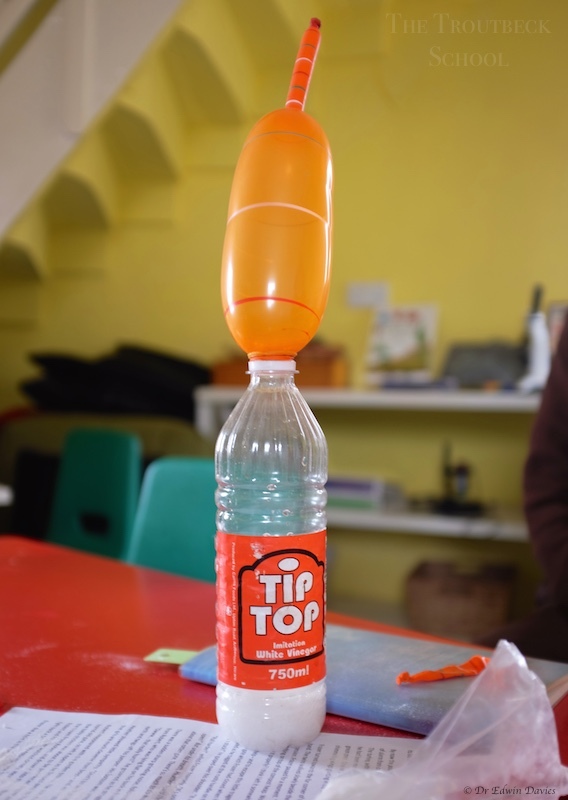 Then charge up the balloon with bicarbonate – easier for small hands than large. 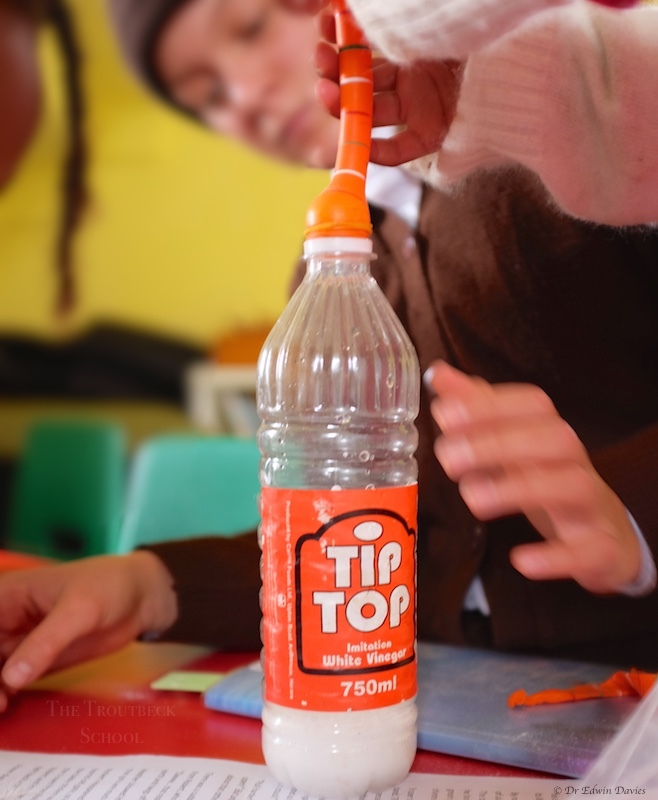 Slip the balloon opening over the top of the vinegar bottle – keeping the bicarbonate at the farthest end of the balloon. 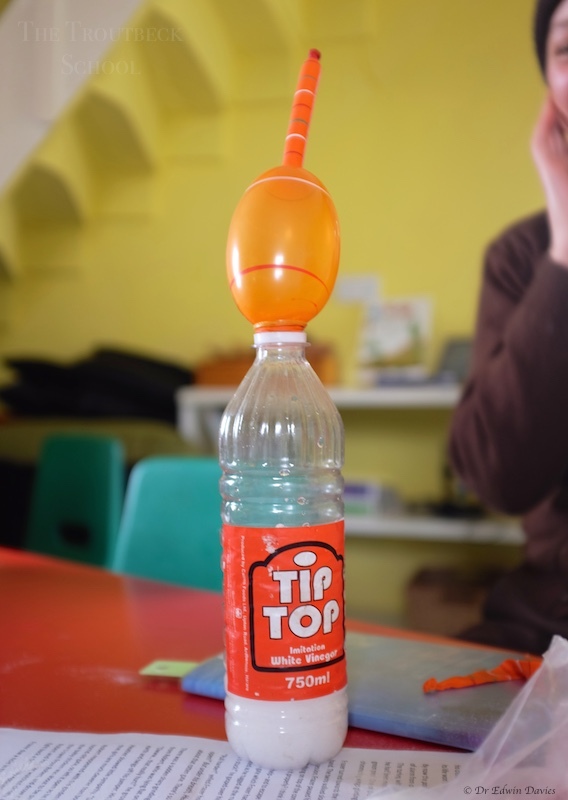 Next lift up the balloon from the far end allowing the sodium bicarbonate powder to fall down into the vinegar. Explain that vinegar and sodium bicarbonate are reacting together to form carbon dioxide, water and another chemical (sodium acetate). 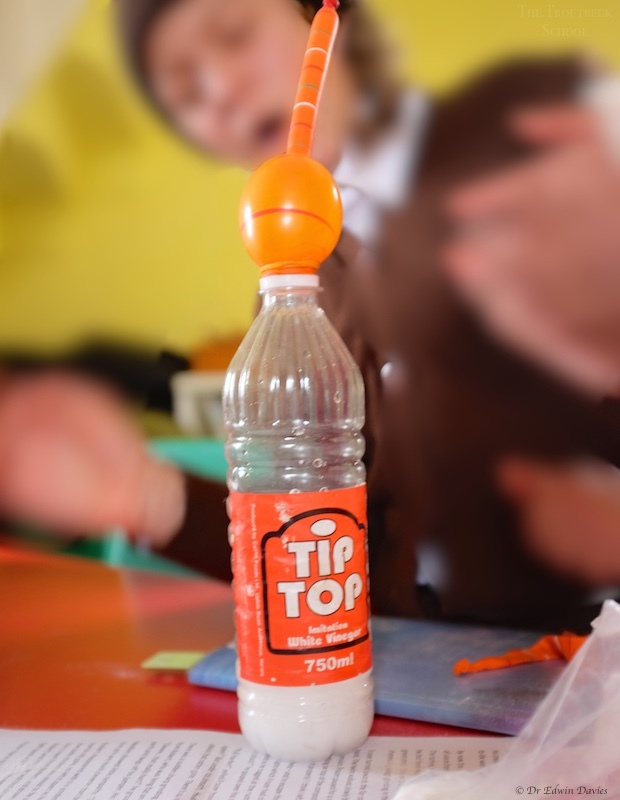 We did it – our carbon dioxide filled balloon!